Dylan Groenewegen won the sprint in the last stage, in Valencia. Valverde finished second overall and Pello Bilbao third. Ion Izagirre did not win since his dizzying descent to Morzine in the Tour of 2016, on July 23. In the 2017 edition he suffered a serious fall in the opening time of Dusseldorf, in which he fractured several vertebrae. He returned in 2018 in Down Under, and in Paris-Niza (4th) and País Vasco (3rd) he already showed that he had recovered his level. 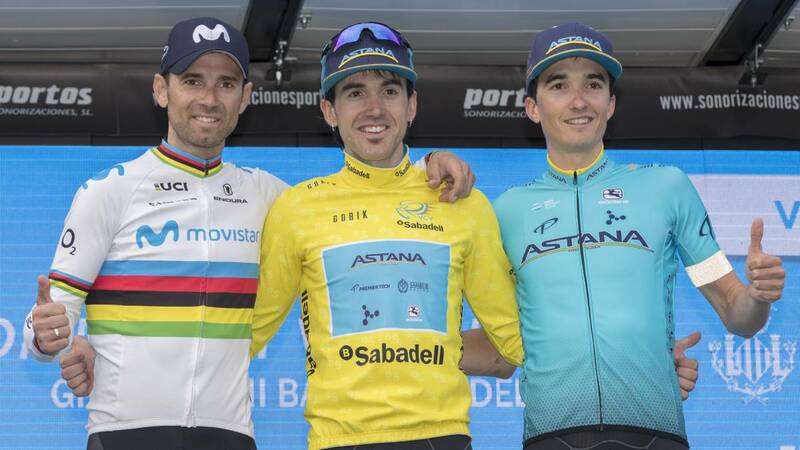 In the Vuelta got his first top-ten in a big, 9th, and in his debut in 2019, both in competition and with the Astana jersey, has not been able to perform better: second in the Orihuela time trial, fourth in the climb to the Hermitage of Santa Lucia and first place in the general Volta a la Comunitat Valenciana. I missed the feeling of triumph. It's about my second week's round (after Poland 2015). I adapt well, "acknowledged the Guipuzcoan, 30 years. Alejandro Valverde, defender of the title, had to settle for second place in Santa Lucia and the final classification. After Mallorca and Valencia has not yet released with the rainbow, but does not worry: "They will touch more opportunities, I do not think I will suffer any curse for wearing this garment." Pello Bilbao, in his second year with Astana, also starts strong: seventh in Orihuela, third in the queen stage and in the general. In 2017 it exploded with victories in the Tour of the Alps and the Dauphiné, and a sixth position in the Giro: "It's time to confirm all the good and worked" . La last day was pointed to the sprint Dylan Groenewegen in Valencia . Within the last three kilometers there was a montonera in which Christophe Noppe (Vlaanderen), who crossed the finish line without resting his left arm on the handlebar, and Manuel Peñalver (Burgos), with his right wrist injured, seemed the most affected. Percance on the sidelines, few races that do not belong to the World Tour will boast of a cachet of both cache (with full Spanish) and prestigious winners: a Groenewegen must be added to Edvald Boasson Hagen (Orihuela), Matteo Trentin (Alicante), Greg van Avermaet (Chera) and Adam Yates (Hermitage of Santa Lucía) . And eye on the promising Colombian Sergio Higuita, better young at age 21 and on loan in Euskadi for Education First.